The Church Visits group, led by David Chubb, has now been to over 100 churches in the area. Our most recent trip was to St. Peter & St. Paul, Ermington, with its well-known crooked spire. 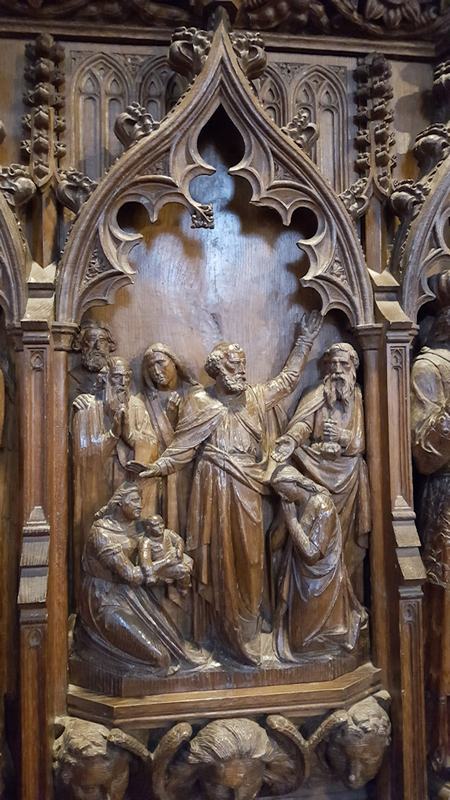 Inside, it is a lovely, light church with the most beautiful wood carvings, largely done by the Pinwill sisters (see pictures right). It made a fitting finale to David’s leadership of the group, and a small presentation was made in thanks for all he has done to introduce us to such a wide variety of beautiful buildings – to say nothing of the excellent pub lunches we have enjoyed after the visits! As from April 2019 Liz Hext takes over as leader. TUESDAY 9th APRIL......Blackawton and Moreleigh. Both of these churches are Grade 1 listed. 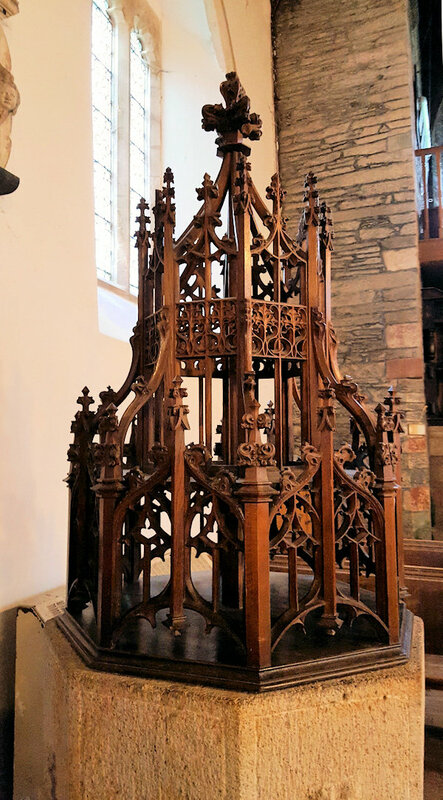 Blackawton has a big, wide, handsome interior; C14-C15, with a Tudor rood-screen and a Norman font. 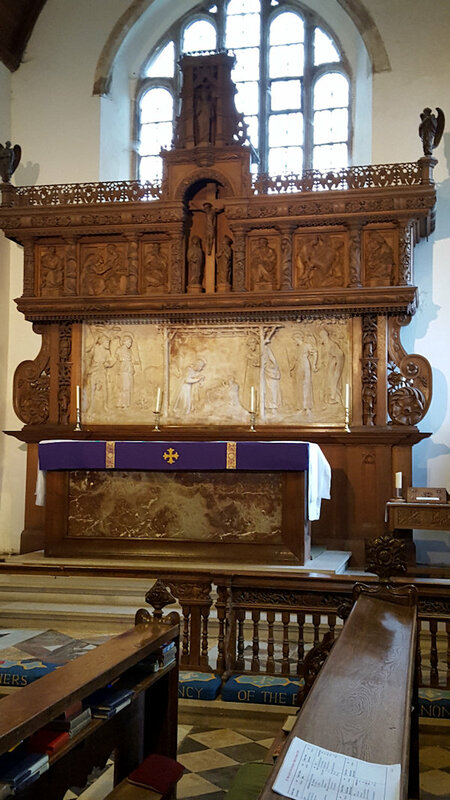 Moreleigh is an enchanting little early C14 church in a peaceful setting, filled with attractive features. TUESDAY 14th MAY........Chivelstone and East Portlemouth. TUESDAY 11th JUNE......Chudleigh and Kenn. Contact Liz on 843202, 07905 742421 or click Church Visits to email her.